From time to time in Christian history there have been those who claim to have come into possession of relics associated with Jesus. 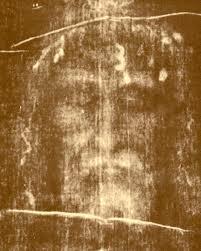 Pilgrims and collectors have gathered together items like the Shroud of Turin, the alleged crown of thorns worn at Christ’s crucifixion, or the Veil of Veronica, used to wipe our Lord’s sweaty, bloody brow. And since Helena, the Emperor Constantine’s mother, first claimed to have found the true Cross of Jesus more than 1700 years ago, pieces of it have shown up every where. Tongue in check, Erasmus said there were so many fragments of the Cross of Jesus strewn about European cathedrals, that one could actually build a cathedral from the remains. Granted, if someone claims to possess an authentic relic of Jesus people would line up for miles to see or touch it. And they just might pay a good bit of money to do that. So the motivation behind some of these ventures is plain to see. But for the pilgrims who travel to see these relics or who venture to holy sites, they are not looking to simply part with their time or money. They are on a journey of faith, to experience something, to see something, to touch something associated with Jesus that is real. For the seeker, his or her desire is real. Their faith is real. Their convictions are real. They are looking for Jesus to be the same. Whenever I doubt the reality of Jesus, I don’t go relic shopping. I read the gospels again. Jesus was born in poverty. His friends were from the lowest castes of society. He was crushed by the Empire of his day. He wept, laughed, suffered, and went without. He became frustrated and sometimes angry. No one writing propaganda would ever reveal a character so real, so human, so earthy. The writer of Hebrews is exactly right: “We have a high priest who was tempted and tried in all ways, just like us.” He understands, because he has been there himself. And he is still there, still here. In reality, Jesus is the condemned person in the courtroom who hears the sentence passed down, and can only hang his head in shame. Jesus is the abused and molested child who falsely feels responsible for the evil that is perpetrated against her. Jesus is the lonely and abandoned soul who hears the iron bars of a prison door slide shut behind him. Jesus is the three-time divorcee who bears the heavy-heart of betrayal and rejection. Jesus is the young woman who hates herself for the decisions she has made, but did the best she could torn between impossible choices. Jesus is the executive who embezzled money, and is now an embarrassment to his friends, his company, and his family’s name. Jesus is the person out of work for so long she has given up, even though they have come for everything she owns, and she doesn’t know what to do next. Jesus is the crippled veteran on the street, reduced to panhandling to feed his growling belly, so ashamed he cannot make eye contact with passersby. Clarence Jordan said: “When God becomes a man, we really don’t know what to do with him. If he will just stay God, like a God ought to be, then we can deal with him. We can sing songs to him. We can handle him. We can build cathedrals to him (or collect relics). “But by sending Jesus as a man, God is refusing to take humanity’s ‘no’ for an answer, and places Jesus in the here and now – in the midst of this life.” And that is more real and holy to me than all the collected artifacts in the world.